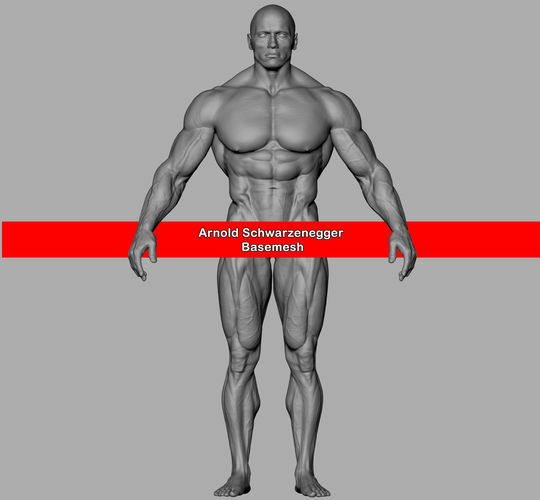 Hipoly basemesh sculpture of Arnold Schwarzenegger for ZBrush. This .ztl contains 5 subtools: basemesh, eyes, hair, underpants & eyelashes. The basemesh itself has animation friendly topology, 7 subdivision levels, 16.807 mil active points and basic skin detailing (there're no layers nor polypaint). You can use the first 2 subdivision levels for your low poly mesh. You can preview this model in 3D on my Artstation page.